If your customer still hasn’t paid after 90 days your best option is to turn those accounts over to our collection professionals. We can focus our collection efforts on collecting your money while making every effort not to jeopardize your relationship with your client. History has proven that third party agencies have a greater success level than the in-house collection efforts. We pride ourselves on maintaining an effective, easy to use service with excellent client communication. Do you and your employees know the laws? Do you know how the courts will interpret these laws? 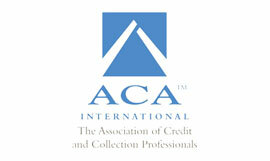 Our collection professionals are bonded and adhere to all local, state, and federal regulations. We provide a comprehensive collection process that gets results. We’re confident we can help recover your lost revenue. Our only fee is based on a percentage of what we collect. No upfront costs for “dunning letters”, no retainer fee, and no long-term service obligations are required for our services.